살바도르의 편리한 곳에 위치한 피사 플라자 호텔에서 여행을 시작하세요. 이곳에서 생생한 도시의 모든것을 쉽게 즐기실 수 있습니다. 편한 위치와 함께, 호텔은 도심의 필수 관광지에 손쉽게 접근할 수 있는 곳에 있습니다. 최고 수준의 객실 시설 및 최상의 편리함을 약속해 드립니다. 일부 객실에서는 에어컨, 미니 바, 전화기, TV, LCD TV / PDP TV 등을 제공합니다. 호텔은 헬스장, 실외 수영장 등을 포함하여 다양한 종류의 여가 시설을 완벽하게 제공합니다. 즐거움을 주는 비교할 수 없는 서비스와 진정한 일류를 제공하는 피사 플라자 호텔. This was a really good hotel for business travel. 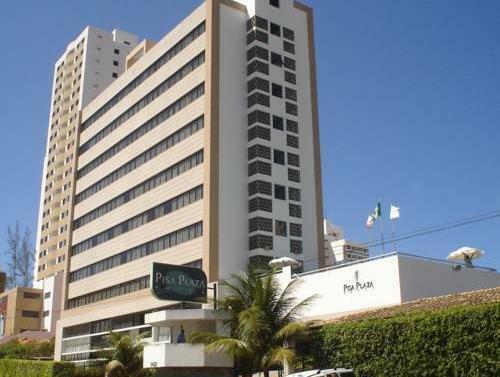 It's located in easy walking distance between the beach and conference centre. The hotel itself was comfortable, clean and offered free wifi. The staff were friendly and clearly helpful, but their ability to help relied on our mutual effort in communication, as they only spoke Portuguese. We got by, however. It is quite a distance from the old town; I'd suggest organising a taxi through the hotel and agree the price beforehand (confirm this with the taxi driver). We felt we'd been ripped off on the way into town and our suspicions were confirmed on the return trip.